Wednesday 4 May is the Feast of the English Martyrs; as a one-off our usual simple sung Mass will be celebrated this week in Latin (“new” rite, with readings and homily in English, of course!). We are then pleased to welcome Fr Philip Rosario OSB who will speak to us on Benedictine Spirituality. Fr Philip is a monk of Ampleforth Abbey, where he is Master of Oblates – i.e. 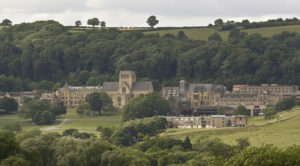 those lay people who have promised to live according to the principles of Benedictine Spirituality in their daily lives, linking themselves spiritually to the monks of Ampleforth. The evening will conclude with the celebration of Compline, the Church’s Night Prayer.